Deputy President of the Senate, Senator Ike Ekweremadu, has expressed deep sadness over the death of the former Governor of Niger State, Engr. Abdulkadir Kure. 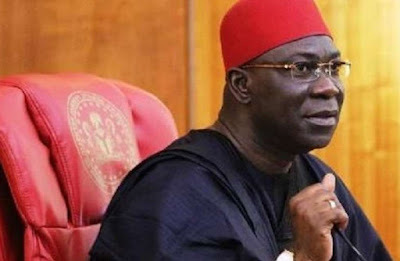 Ekweremadu, who extolled the deceased as a patriot and true party man, described his death as a heavy loss to the government and people of Niger State, the Peoples Democratic Party (PDP), and the nation as a whole. A statement signed by the Special Adviser (Media) to the Deputy President of the Senate, Uche Anichukwu quotes him as saying: "Late Engr. Kure was a principled politician and public administrator per excellence. He made marks on the sands of time in our quest for national development. He was certainly a pan-Nigerian and a peace ambassador. “He was also a true party man. At a time it was convenient for those who had benefited immensely from the PDP to dump the party in the aftermath of the 2015 general elections, he remained committed to rebuilding the party. He served on the PDP Post-Election Review Committee, which I was privileged to chair; and he acquitted himself most creditably as a political engineer and a man of intellect and vast experience. “My deep condolences go to his dear wife, Distinguished Senator Zaynab Kure and his entire family as well as the government and people of Niger State, and indeed the nation as a whole on this sad loss”. Ekweremadu who said the late Engineer would be sorely missed, also prayed for the peaceful repose of the former Governor’s soul.